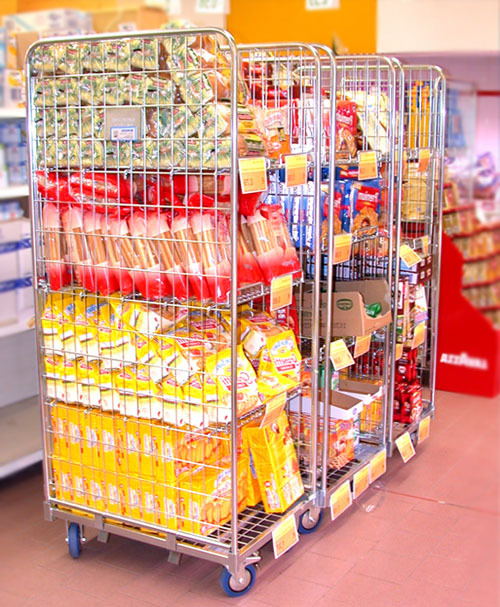 We fabricate and develop roll containers, trolleys, Transtock model trolleys ideal for goods transportation and storage within warehouses, up to design display baskets and containers for goods displaying within superstores and supermarkets. We manufacture customized items according to each point of sale needs in terms of space and design. The catalogue is currently being updated.